Your access to and use of www.referenceglobe.com and the services provided through the Site are governed by this ReferenceGlobe.com Agreement. Your access to this Site indicates your acceptance of the terms of this Agreement. Please do not use this Site in any manner if you do not agree with the terms of this Agreement. 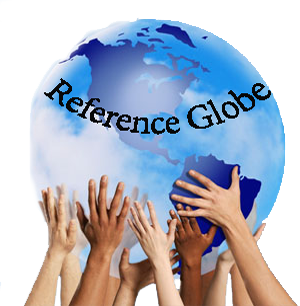 ReferenceGlobe.com reserves the right to modify and update the terms of this Agreement by posting a new version of this Agreement on this web page. Keeping abreast of the new terms of this Agreement is the user’s responsibility, and the user’s continued use of this Site signifies the user’s acceptance of any changed terms. The User / subscriber / visitor to referenceglobe.com or affiliated site(s) is prohibited from uploading, posting, transmitting, updating or sharing: any information that belongs to another person and to which the user does not have any right to; is grossly harmful, harassing, blasphemous, defamatory, obscene, pornographic, pedophilic, libelous, invasive of another's privacy, hateful, or racially, ethnically objectionable, disparaging, relating or encouraging money laundering or gambling, or otherwise unlawful in any manner whatever; harm minors in any way; infringes any patent, trademark, copyright or other proprietary rights; violates any law for the time being in force; deceives or misleads the addressee about the origin of such messages or communicates any information which is grossly offensive or menacing in nature; impersonate another person; contains software viruses or any other computer code, files or programs designed to interrupt, destroy or limit the functionality of any computer resource; threatens the unity, integrity, defense, security or sovereignty of India, friendly relations with foreign states, or or public order or causes incitement to the commission of any cognizable offence or prevents investigation of any offence or is insulting any other nation. In case a person using the world wide web/internet receives a spam or virus which includes a link to referenceglobe.com or to any other site maintained, operated or owned by STEE, it should not be held responsible for the same. STEE assumes no responsibility for such mails. → referenceglobe Fast Forward Services / Resume Posting / Submission of Resume / Resume Upload / Resume Manager by registering your resume on referenceglobe.com, you agree to the following terms For The resume/insertion or information/data fed by the user can be updated by the user alone, free of cost. → Stee offers no guarantee nor warranties that there would be a satisfactory response or any response at all once the resume/ insertion or information/data is fed by the user. → Stee neither guarantees nor offers any warranty about the credentials bonafides, status or otherwise of the prospective employer/organization which downloads the resume/ insertion or information/data and uses it to contact the user. → Stee would not be held liable for loss of any data technical or otherwise, or of the resume/ insertion or information/data or particulars supplied by user due to acts of god as well as reasons beyond its control like corruption of data or delay or failure to perform as a result of any cause(s) or conditions that are beyond Stee's reasonable control including but not limited to strikes, riots, civil unrest, Govt. policies, tampering of data by unauthorized persons like hackers, distributed denial of service attacks, virus attacks, war and natural calamities. → It shall be sole prerogative and responsibility of the user to check the authenticity of all or any response received pursuant to the resume/ insertion or information/data being fed into the network system of Stee by the user, for going out of station or in station for any job or interview. Stee assumes no responsibility in respect thereof and expressly disclaims any liability for any act, deed or thing which the user may so do, pursuant to the receipt of the response, if any, to the resume/ insertion or information/ date being fed into the network system of Stee. → Uploading of multiple resumes beyond a reasonable limit by the same individual, using the same or different accounts shall entitle Stee to remove the Resumes without notice to the subscriber. This service is only meant for candidates looking for suitable jobs. Any usage with commercial intent is prohibited. → Stee reserves its right to reject and delete any resume/ insertion or information/data fed in by the user without assigning any reason. This free service entitles the user alone i.e the same person, to add modify or change the data/information fed in by him but does not entitle him to use the free service to feed fresh insertion or information/data /resume of another person in place of the insertion or information/data already fed in by such user. → Stee has the right to make all such modifications/editing of resume in order to fit resume in its database. The subscriber shall be assigned a password (s) by Stee to enable the subscriber to access all the information received through referenceglobe.com, but the sole responsibility of the safe custody of the password shall be that of the subscriber and Stee shall not be responsible for data loss/theft of data/corruption of data or the wrong usage/misuse of the password and any damage or leak of information and its consequential usage by a third party. Stee undertakes to take all reasonable precautions at its end to ensure that there is no leakage/misuse of the password granted to the subscriber. → It shall be the sole responsibility of the user to ensure that it uses the privacy setting options as it deems fit to debar / refuse access of the data fed by it, to such corporate entities individuals or consultants. Stee shall not be responsible for such insertions / data being accessed by its subscribers or users whose access has not been specifically blocked /debarred by the user while using the privacy settings. → Although Stee will make all possible efforts to adhere to these privacy settings, it will not be responsible for a resume being seen by a blocked user for any reason. For best privacy settings it is recommended that you do not allow your resume to be searched at all. → The user represents that he/she is not a minor and is not under any legal or other disability which limits his/her ability to comply with these Terms or to install and use the services subscribed and purchased with minimal risk of harm to you or others. You further represent that you are not purchasing the products/services for resale to others and will not do so without Stee S/W Technologies Pvt. Ltd.'s prior written consent. All changes / modifications made by the user to the data / information shall be effected and will come into operation only after 24-48 hours of such changes / modifications being made. a) Making your resume searchable to paying clients of STEE who subscribe to RESDEX (Resume Database Access). You may be contacted by subscribers of RESDEX via email, telephone and/or post. If you wish to modify this setting and make yourself non-searchable, you may reset this in the Privacy Setting section of your resume. We recommend that you read the privacy settings carefully and STEE will not be held responsible for contacts/mails received by you. The payment for service once subscribed to by the subscriber is not refundable and any amount paid shall stand appropriated. The amount paid entitles the subscriber alone to the service by Stee for a period of subscription opted for from the date of up-linking of the resume on the website referenceglobe.com or such other mirror or parallel site(s) as Stee may deem fit and proper but such web host shall be without any extra cost to the subscriber / user. The resume displayed can be updated by the subscriber alone free of cost. Through Resume Display service your resume is made available from the home page of referenceglobe.com and can be by freely accessed by anyone. Additionally, through this service your resume is also made a part of referenceglobe.com's proprietary database, accessed only by companies/recruiter registered with us. Please log into your account and set the visibility of the resume as desired by you, here you can selectively block a company/recruiter from accessing your resume. (Please note that the confidentiality settings of the resume which has been made part of the exclusive database is independent of the confidentiality settings of the resume made part of the free search service) Stee offers neither guarantee nor warranties that there would be a satisfactory response or any response at all once the resume is put on display. Stee neither guarantees nor offers any warranty about the credentials of the prospective employer/organization which down loads the information and uses it to contact the prospective employee / visitor / user / subscriber. Stee would not be held liable for loss of any data technical or otherwise, and particulars supplied by subscribers due to reasons beyond its control like corruption of data or delay or failure to perform as a result of any causes or conditions that are beyond Stee's reasonable control including but not limited to strikes, riots, civil unrest, Govt. policies, tampering of data by unauthorized persons like hackers, war and natural calamities. It shall be the sole prerogative and responsibility of the individual to check the authenticity of all or any response received pursuant to the resume being displayed by Stee for going out of station or in station for any job / interview and Stee assumes no responsibility in respect thereof. Stee reserves its right to reject any insertion or information/data provided by the subscriber without assigning any reason either before uploading or after uploading the vacancy details, refund if any shall be on a pro-rata basis at the sole discretion of Stee. The subscriber undertakes that the data/information provided by him is true and correct in all respects. The User of these services does not claim any copyright or other Intellectual Property Right over the data uploaded by him/her on the website All disputes arising out of the transactions between a user and Stee will be resolved in accordance with the laws of India as applicable. All Disputes arising out of the transactions between a user and Stee will be subject to the jurisdiction of Courts situate in Delhi alone. referenceglobe.com shall reserve the exclusive right to cancel any content whatsoever from being published or reflected on its website or in any other mode. The User shall not print, download, duplicate or otherwise copy, delete, vary or amend or use any data or personal information posted by any User on referenceglobe.com except such data and information which are posted by the particular User himself. Copyright © 2018 Referenceglobe.com. All rights reserved.